Over twenty years of experience within the pest control industry. SDA Pest Control specialise in the treatment of wasps, having successfully cleared wasp nest around your area for years. Rats are a hazard to public health, here at SDA pest control we provide a reliable solution to your problem. If you have any problems with ants please call 07850 658805. If you have a pest problem, why not contact us for a free no obligation quotation. We are experts in removing those little problems from homes and businesses since 1985. 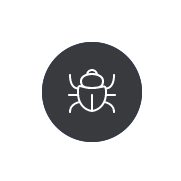 Based locally, SDA Pest Control are able to beat any call-out time of the major pest control companies and, in addition, we are happy to visit your premises in an unmarked van for discretion purposes. It's always distressing to have unwanted visitors in your home, especially those of the pest variety. SDA Pest Control provide cost effective solutions. Whether you have ants crawling in the door, or mice in your utility areas, SDA Pest Control can provide you with a tailor-made solution. Farms and outbuildings can quickly become a favourite home for a number of unwanted pests, such as rats and mice. Warehouses and factories often provide shelter and food for a variety of animals, including rats and mice. 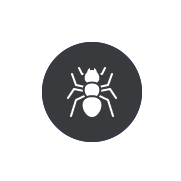 We provide pest control services to any home or business within a 20 mile radius of St. Ives. This includes Huntingdon, St. Neots, Somersham, and Cambridge. "SDA Pest Control have always provided Linx Printing Technologies with a quick response, an efficient and courteous service, and I would have no hesitation in recommending their services to others in the region." Linx Printing Technologies Ltd, St. Ives. For information, advice or to arrange a visit to your premises by SDA Pest Control, contact us using the details below. We provide free, no obligation quotations and surveys to any individual or organisation based within our catchment area. SDA Pest Control are your Number 1 local pest control company. 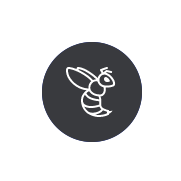 "Your efficiency, effectiveness, reliability and responsiveness to our requirements, together with your unfailing good humour, give me the confidence to unreservedly recommend you to any organisation or individual requiring pest control services."